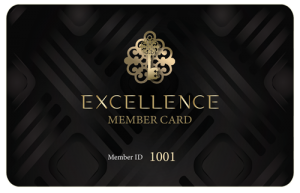 To ensure that you can partecipate to our Vip Lounge events and develop your business network in a friendly and relaxed environment, sign up for our Excellence Member Card and become part of the exclusive program dedicated to our members. Enchanting locations, including Milan, Porto Cervo, Venice, Rome, Lugano, London, Dubai and Montecarlo. Everything is taken care of: the venue, the creative environment, the accommodation, the gourmet experience and the entertainment. The perfect atmosphere to connect with the right people to develop your business, to network or simply to spend an unforgettable evening. Gala dinners are the perfect setting to develop high-end business networks and opportunities as well as to establish profitable connections. You will be experience exclusive gourmet coreography created by the most famous of chefs and food designers. Every detail is full of enchantment, to charm the senses and create fairytale-like memories. Exclusive hotels, fine restaurants, private luxury services, van and limousine transport, charming boutiques, and personalized assistance. We are delighted to offer you our Collection services, a selection of outstanding luxury experiences for you every need. Meet VIP guests from the worlds of show business, art, sports and entrepreneurship. Establish personal connections with high-end contacts.